The holidays are over! That means you can breathe a sigh of relief and get back to your normal life again. And while you were busy planning and participating in a number of holiday-related events for the past two months, there’s a good chance that your home improvement to-do list fell to the wayside. Let’s take a look at a few ways to get back on track. Start out by checking in on your furnace. The winter is here, and that means furnaces here in Denver, Colorado are working hard to keep our homes warm. Take a second to make sure your furnace is working properly. If you notice that your home is not being heated properly, reach out to an HVAC professional to get your unit serviced…before even colder weather arrives! Finish those plumbing and electrical projects! If you were working on a project before the holidays that requires plumbing or electrical work, bring out a professional to get the job finished. Maybe you were working on renovating a bathroom or a kitchen. More than likely, the holidays put your project to a complete halt. Bringing out a verified plumbing repairman or electrician will ensure that the job is done properly…and most importantly, completely finished! Prioritize your list. 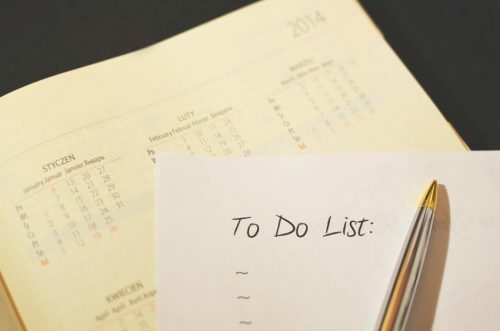 Review your to-do list to figure out what needs done first. It’s probably been a while since you had a chance to go over your list. It may be one of those plumbing or electrical projects that needs completed; or it could be something else of more importance in relation to your home. Either way, it’s important to narrow down your projects so that you can pick the most essential project to complete first. Take down your holiday decorations. This final tip may sound simple, but it will truly help get you back on track with your home improvement to-do list. Once you take down all of your decorations and holiday lights, your home will go “back to normal.” This will allow you to get focused in on the home improvement projects that need to be completed. Download the FREE Repairman app from your favorite Apple App Store, or Google Play Store or directly from the Repairman App website to connect with verified plumbers, electricians, roofing experts, window experts, HVAC professionals and more based right here in the Denver, Colorado area. And don’t forget to sign up for our newsletter to receive all of the latest news and updates about our home improvement app. For more information on the Repairman app, along with plenty of home improvement ideas, check out the rest of our blog. So what are you waiting for? Download the FREE Repairman app from your favorite app store today and connect with professional service Providers near you! Can a Plumber Help you with that? Have you Noticed Low Water Pressure in your Home? © Repairman Inc. All rights Reserved. Did you get the FREE Repairman App? Download it now and be ready when you need to find a Provider in a pinch! All our Appraisers, Inspectors, Plumbers, Electricians, HVAC, Window and Roofing Pro's are licensed, insured and background checked by us for your peace of mind and convenience. Your information will *not* be shared or sold to a 3rd party.